and management experience in business and banking systems. He currently holds the position of CEO of Gulf International Bank, Bahrain. Dr. Alyahya has held various positions in local and international banks and other companies, including board director of Gulf International Bank (Bahrain), co-chairman of the Emerging Markets Advisory Council of the Institute of International Finance (Washington, DC), member of the steering committee to establish the Saudi Real Estate Refinancing Company (Riyadh), member of the World Bank’s International Centre for Settlement of Investment Disputes (ICSID) Panels of Conciliators and Arbitrators for the Kingdom of Saudi Arabia, board director of the Institute of International Finance (Washington, DC), chairman of Gulf International Bank (UK) Limited (London), board director of GIB Capital (Riyadh), chairman of Shuaibah Expansion Project Co. (Jeddah) and chairman of Shuaibah Water & Electricity Co. (Jeddah). 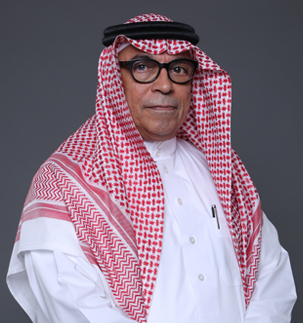 He has also served on the boards of several organizations, including the Group of Twenty (G20) High Level Panel on Infrastructure Investment (HLPII), as a member of the Strategy Steering Group of Sanabil (Riyadh), board director of Oger Telecom (Dubai), board director of National Commercial Bank (Jeddah), board director and member of the Audit & Investment Committees, (Riyadh), board director and member of the executive committee, Gulf Investment Corporation (Kuwait), Saudi Arabia representative on the Steering Group (USA, EU, Japan and Saudi Arabia) of the International Efforts for the Reconstruction of Afghanistan, executive director for Saudi Arabia at the World Bank in Washington, DC, board director of the Saudi Engineering Society (Riyadh), member of the audit committee of Saudi AlFransi Bank (Riyadh), general manager central region for El Juffali & Bros Co. (Riyadh), board director of Saudi Agricultural Bank (Riyadh), director general of the Institute of Banking, SAMA (Riyadh), assistant professor of industrial engineering, King Saud University (Riyadh), consultant for Ford Motor Co., Detroit, assistant professor of industrial and systems engineering at the University of Michigan, lecturer at the Indian Statistical Institute (Bangalore), graduate assistant in the College of Engineering, Riyadh University, project analyst at the Saudi Industrial Development Fund (Riyadh), and analyst, facilities planning at Saudi Aramco (Dhahran).